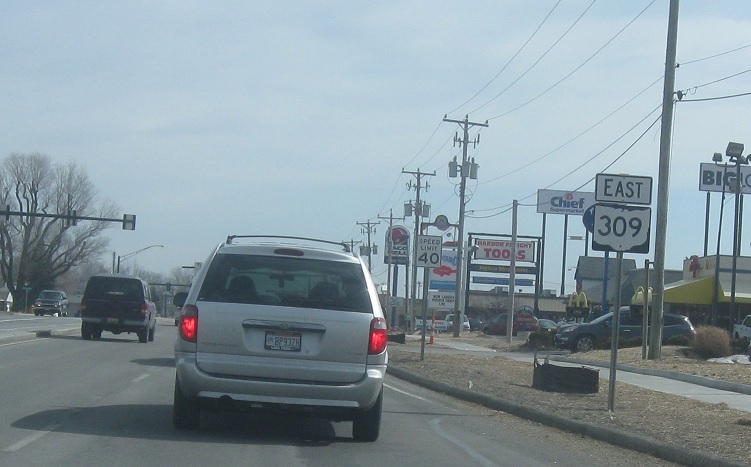 Reassurance shield after the 117 split as we head out of Lima. 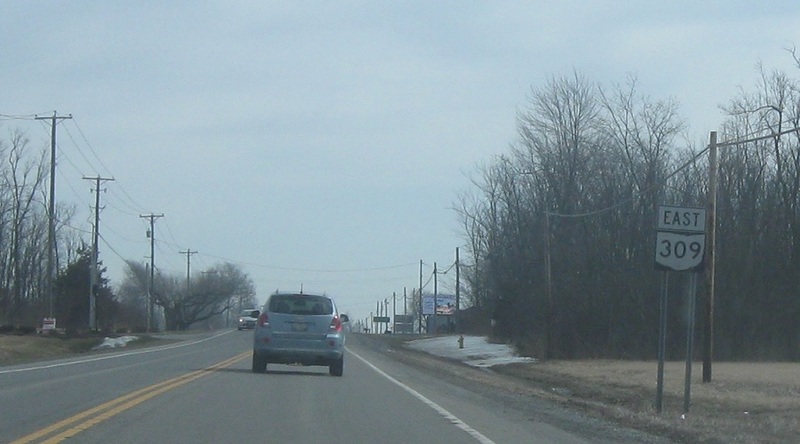 Reassurance shield after the turnoff to Lafayette and Herrod. 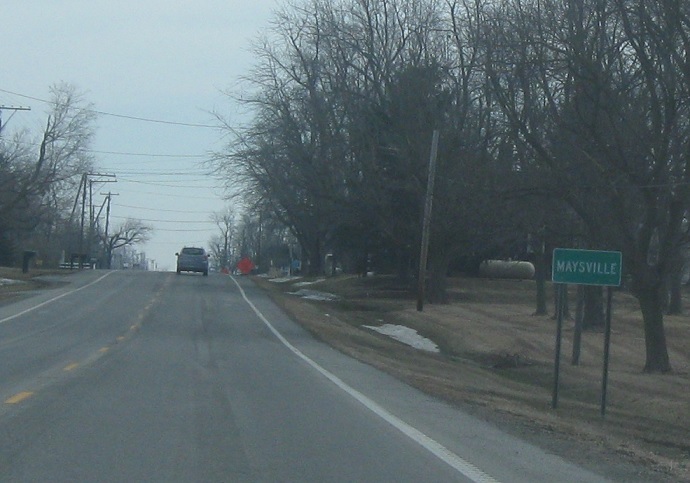 Just after that, we’ll enter unincorporated Maysville, right on the county line. 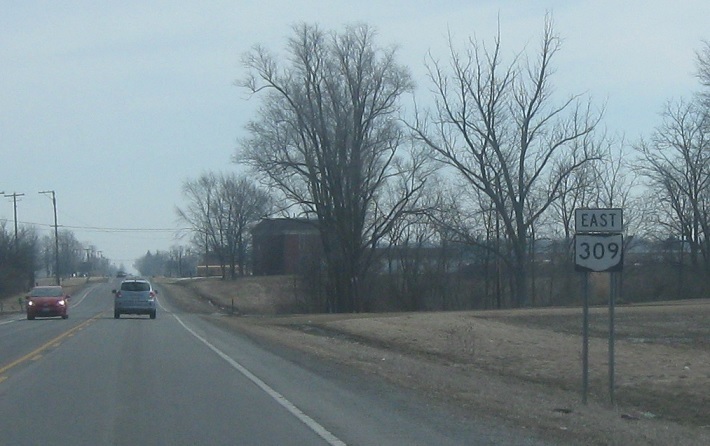 Reassurance shield as we head out of Maysville and cross into Hardin County. 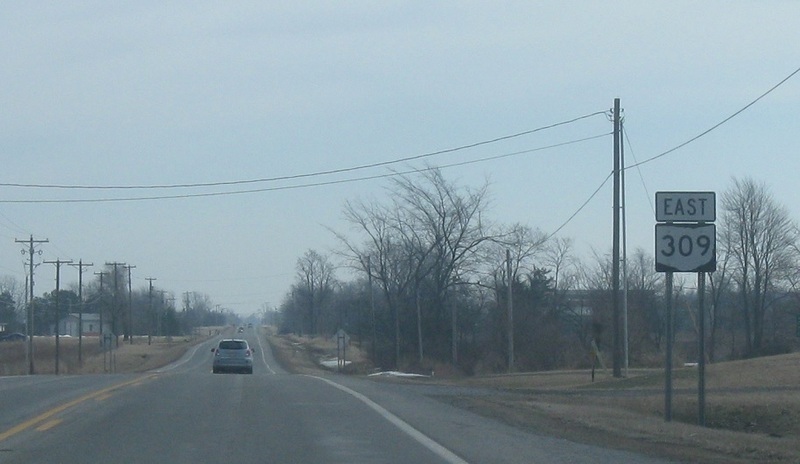 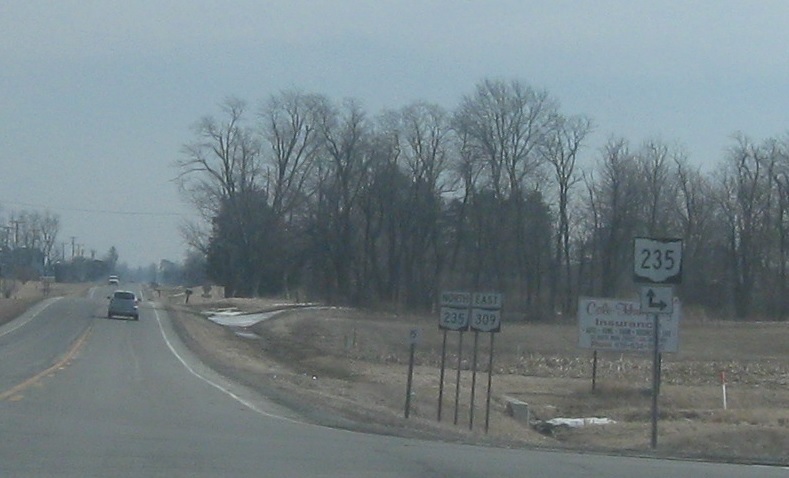 A mile into Hardin County, we’ll approach SR 235. 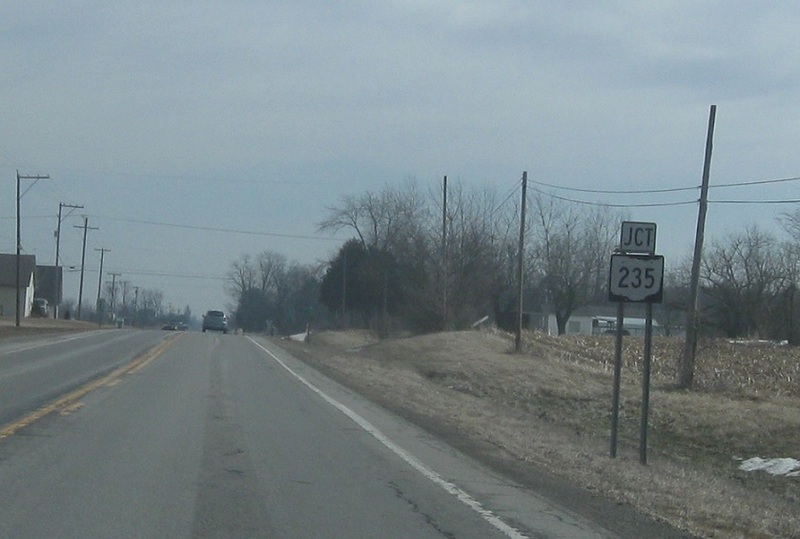 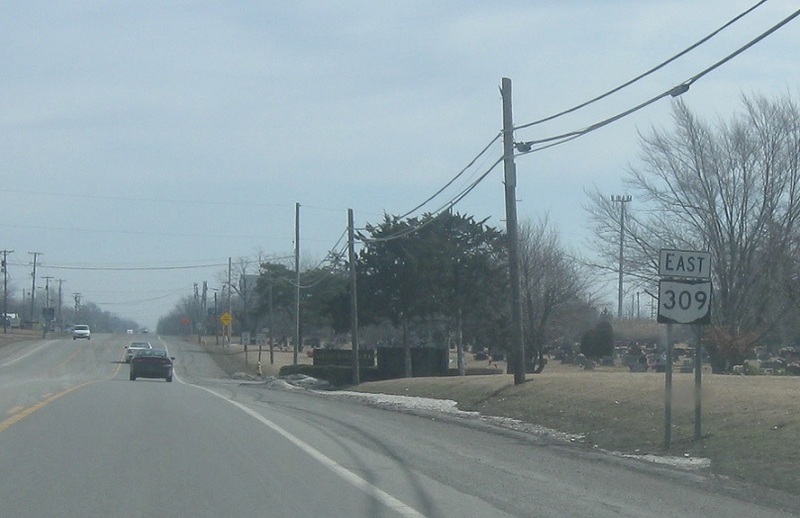 Turn right for SR 235 south towards Bellefontaine. 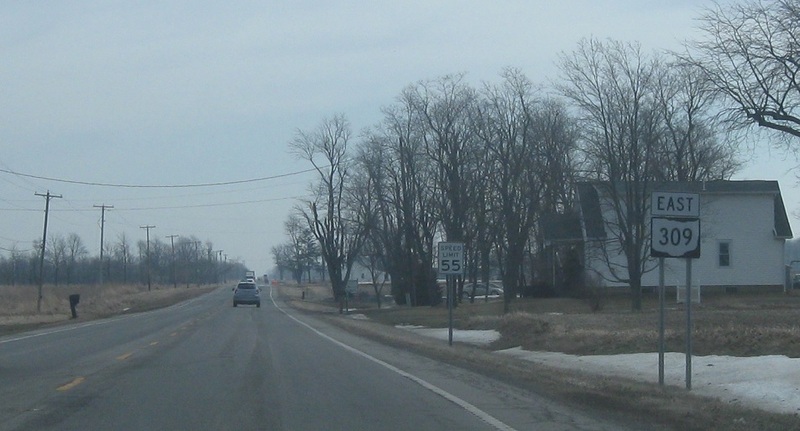 235 north joins 309 east for a mile.